Am I able to visit the campsite beforehand to see where my child will be staying? Are the activities and equipment safe? Are you equipped to have children with disabilities on camp? Can I book my child in for only some days of City Day Camp? Can I claim Child Care Benefit/Rebate? Can I come for part of the camp? Can my child be in the same room as their friends? City Day Camps - Spending Money? City Day Camps - What happens on wet weather days? City Day Camps - What time do I drop off/pick up? Can I be early/late? Do Leaders stay in the cabins with the campers? Do you accept campers from overseas? Do you have a bushfire plan? Do you have Child Protection Policies? Do you have staff trained in First Aid? Do you have to be a Christian or go to church to come on camp? How are you able to make camp so inexpensive? How do I book my child into camp? How do I update my details in the system? How much does the camp cost? Are there extra expenses? What are the staff qualifications and ratios for City Day Camp? What are your staff to camper ratios? What does a daily program at City Day Camp look like? What happens if I need to change/cancel my booking? What if my child doesn't know anybody else on camp? What if my child is sick and can't attend? What is the age range for City Day Camps? What is the Christian input on the camp like? What is the minimum age for campers? What kind of background checks etc. are staff required to complete? What meals are provided on City Day Camps? What sort of things should i NOT bring to camp? Where are the campsites located? Why is my e-mail unavailable? Occasionally we have parents request to come and visit the campsite beforehand. On the day camp commences, we encourage parents to bring their children to camp themselves, meet the camper’s leader/s for the week etc. Apart from this, an important thing to note is that in visiting the campsite, you are simply visiting the facilities, so therefore this will need to be arranged with the campsite directly, not with CYC Ministries. It is important to call ahead and organise an appropriate time to do so. There are groups in most weeks and weekends of term, so it is important if you are visiting, to report to the office and sign in as a visitor etc. Please note: On the commencement day of camp, we are unable to register campers earlier than the advertised registration time, as this is a very busy time of preparing for camp and the Leadership Team. We strongly discourage parents from “dropping off” campers early, as we cannot take responsibility for campers until registration. All new activities run on camp undergo a risk-assessment before camp and are run according to OH&S regulations. The campsites are accredited with both NARTA and the ACA (formerly CAV) accreditation schemes. As the campsites are used by school groups and weekend groups most weeks throughout the year, equipment is maintained regularly to a high standard. The two most important rules on camp are “have fun” and “stay safe”, and we aim for all campers to do both. We are not specifically equipped to have children with disabilities on camp, however, the campsites do have disabled facilities, and we can accept some campers with disabilities on camp. It really depends on the level of the disability, and the question is not so much whether we accept the camper on camp, but whether our camp would be the best camp for the particular child. There are organisations around who run camps specifically for children with disabilities, and these camps may be better suited to some children who need one to one attention. On the other hand, at times, camp can be great both for campers with disabilities, as well as the other campers who may not have experience outside of camp with disabilities, as they develop friendships with each other. We run on an overall Leader to Camper ratio of about one to three, and Cabin Leaders may have between three and six campers in their cabin. Leaders need to be able to divide their time evenly between all their campers, and it is this level of need that is often the determining factor on whether we are adequately equipped. The other option can be for campers to come along to camp with a professional one-to-one carer to take care of their needs relating to their disability as a way of integrating them into the camp. If you have questions about a specific situation, please give us a call. Although our City Day Camps are designed as a full week program, we realise that this is not always logistically possible. One of the best parts of camp is the opportunity to make new friends and build relationships throughout the week, so we do encourage campers to come for the full week where possible to get the most out of camp. However, if you are needing to book for part of the camp, we can make this happen, so please contact us to discuss part-time attendance options. Unfortunately we are not registered with Centre Link for Child Care Benefits at this time. We do, however, have a $50 “no questions asked” sponsorship option, and there are opportunities for higher levels of sponsorship for those in financial need. Please contact the Camp Director with any questions regarding sponsorship. In general, the answer to this question is no. We think it is very important for campers to be there for the whole week of camp. It is hard for campers when they miss the start of camp, and if they leave early, they are potentially taking the place of a camper who could be there for the whole time. We do realise, that especially for older campers, there may be work commitments etc. that make it impossible for them to come to camp for the full duration. We try to be sensitive to this where possible, but our preference is always to fill spaces with campers who can be there for the whole camp. In those circumstances when campers are allowed to come only for part of the camp, it is important to know that we do not offer discounts for this - full fees still apply. On the camp application form there is space to list a cabinmate. We do our very best to accommodate these requests. Sometimes, such as when too many people are “linked” together in a friendship group, this may not be possible. Please note: Unless requested otherwise, we usually put siblings in different cabin groups. We kindly ask that you do not send any money with your child to camp. Our days and excursions will be so jam packed; there will not be opportunities for shopping. In terms of food and drink, this is all provided through camp. With regards to souvenirs, as most of the excursions involve walking and/or catching the tram/train, we would not want children to spend money on souvenirs that could potentially get lost before returning to camp. Camp will go on, rain or shine! If there is significantly inclement weather, the Camp Director will alter the program to be appropriate for wet weather, to ensure that all campers remain dry and comfortable. Please send campers with a raincoat, even on days that start off sunny; Melbourne can have four seasons in one day! Drop off is every morning between 8:30 and 9:00, and pick up is every afternoon between 5:00 and 5:30. Early drop off will be available from Tuesday onwards, starting each morning at 8:00 am. Campers will be back from the afternoon excursion and available for early pickup from 4:30 pm. As each day of camp will be packed with amazing activities, we encourage campers to be on time and to stay for the full day to make the most out of their experience! If you have a significant concern, please speak to the Camp Director to see about making alternative arrangements. Our Cabin Leaders are accommodated separately to the campers in adjacent rooms. Each cabin group still have their dedicated Cabin Leader/s who are available to them 24/7, but the Leaders don’t actually sleep in the rooms with the campers. (Note: previously there were some camps where Leaders were in the rooms and some where they were not, but we have now moved to this structure for all our camps). This is a question that really needs to be answered on a case by case basis. We have at times accepted campers from overseas. In these situations, it is important that there is clear parental permission for the child to attend camp, and that there is a local guardian who can be contacted throughout the course of the camp. The first thing to note with this question is that the catering provided for the camp is usually done so by the campsite at which the camp is being held. Therefore, our ability to cater to different dietary requirements may be slightly different depending on the location of the camp. In general, we are able to cater for basic dietary requirements, such as vegetarians, dairy-free etc. without a problem. For more complex needs, we may require the camper to supply some or all of their own food for the week. The key is good communication early in the process. If you have any concerns with regards to food allergies etc. please talk to us and we’ll work out the best approach for an enjoyable stay for your child at camp. All of the campsites operate year-round for school and weekend groups, so the catering staff are quite conscious of the different dietary requirements that come through the camps. Yes, we have Fire Emergency Plans in place for all of our Holiday Camps should the need arise. Although the specifics will be slightly different for each camp dependent on location, the basics are still the same. Our Fire Emergency Plan is part of our duty of care to all Campers and Volunteers whilst on camp. We also acknowledge that many of our Campers may come from rural or semi-rural locations. In these cases we do not wish to interfere with individual families’ fire plans. If parents choose to pick up their children at any time as part of their own family fire plan, they should feel free to do so (in communication with the Camp Director). In this case it is important that the Camper is signed out from the camp. If you do choose to pick up your child from camp as part of a personal fire plan, they are welcome to be signed back into camp once you feel the threat has subsided. We will be watching the CFA website for updates as to the weather and potential threats. On days the Fire Index is rated CODE RED, we will organise for buses to take all of our campers and staff to a suburban location closer into Melbourne and away from danger. Prior to any of our Summer Camps commencing, we communicate with the bus companies to ensure that we have buses available for this should the need arise. We will depart after breakfast in the morning and return later that night when the threat is over. If a day like this occurs, and we travel closer into Melbourne, we will contact you via e-mail to notify you of this. You may also call the camp mobile phone number for the specific camp for updates (or to convey information to your child with regards to your own fire plans). If you would prefer to pick your child up and keep them in your care on a CODE RED day, please arrange to do so before 9:00am. As part of our duty of care, we need to leave on the buses no later than this. On days that are not rated as CODE RED, but where we are advised by the CFA and have any concerns about nearby bushfires, our policy is to treat these in the same way as CODE RED days as per above. Where we leave the campsite and are advised by the CFA that there is still a potential threat and not to return in the evening, we will either be in contact with parents to arrange an alternate pick-up location or arrange alternative overnight accommodation, such as at one of our other campsites. Our Fire Emergency Plan as per above also ties in with the Emergency Management Plans of our campsites. These can be viewed in the “Resources” section of the “Planning Your Camp” area on any of the campsite websites. Smoking is not allowed on camp. Whilst we do not want to discriminate against campers who have this addiction, even if we wanted to allow smoking, under Victorian laws, it is impossible to do so. As our Leaders are in a role of being a positive role model to campers, we also require that they do not smoke, as this is not seen as a desirable habit to model to the campers. ​Yes, we take child protection seriously and have put a great deal of time into developing policies and procedures that protect children in our care. We ensure that on each Holiday Camp we have a designated First Aid Officer who has a minimum of Level 2 First Aid. Many of the other campsite staff (and often many Leaders) also hold First Aid qualifications. Not at all! Being “Christian Youth Camps”, this is one of the most common questions we are asked about Holiday Camps. We have a wide variety of children who come to our camps, and these range from campers who go to church regularly, to campers who have never been to church before in their lives. Campers are not required to come from a particular denomination or have any affiliation with a church in order to come to camp. Many children come because they are invited by friends, come to one of the campsites on a school camp, or stumble across this website! Having said this, it is important that all Campers are aware that age-appropriate interactive Bible-based sessions are held each day as an integral part of camp. They are Christian camps, but you don’t have to be a Christian or go to church to attend. Our pricing structure is based on heavily subsidised rates, and as such we do not offer a specific “family discount”. However, through generous donations, we do have the ability to provide sponsorships for those in financial need. If you are wanting to send your child/children to camp, but are struggling financially to do so, please contact us about the possibilities. The answer to this question is most definitely not. We believe the quality of camp is important, and would not sacrifice quality for a cheaper price. We do, however, desire that no children miss out on the opportunity of camp due to financial reasons, and therefore our camps are heavily subsidised to allow a greater number of people to be able to afford camp. Our camps are not run for profit, which means all the money paid in fees for Holiday Camps simply goes towards paying the expenses involved in running that camp, and camps are staffed by volunteer Leaders(who often donate towards the running of the camp as a support to the ministry). In short, our camps have subsidised fees, but are a “full-value” product. ​If your child has not been to camp before, placing the application is a two step process. Once you have created your account in the system, you can then place applications for any of the camps that have applications open. If your child has been to camp before, you do not need to create a new account again. You may simply sign in with your details and used the previously saved information to sign up for subsequent camps. Most of the details that are stored in our system can be updated whenever you place a new camp application. Note: This will not update any previously submitted applications. If you need to update any details for a camp application already placed for an upcoming camp, please contact the Camp Director for that camp. b) If you no longer have access to the old e-mail address, please contact us with details of the new address. We may then ask a couple of questions to confirm your identity before we can give you access to the account with a new e-mail. Our camps are heavily subsidised and priced to be affordable to as many people as possible. It is our desire that no child misses out on camp because of lack of finances. The cost of each camp depends on many factors, especially the number of nights (as camps range between 4 and 6 nights). The current cost for all camps can be found on the applications page. There are no extra expenses for activities, however, on most camps, campers are able to bring pocket money for the week. Often people hear the word “camping” and think of tents. This is not the case (except on special occasions) with Holiday Camps. There are different styles of accommodation at each campsite, but in general, the campers sleep in ensuited cabins, heated during the winter months. This is camping with the creature comforts of home. Meals are served in restaurant quality dining rooms from commercial kitchens, and the facilities are kept in top condition all year round. Check out the information specific to the individual campsites for more information. All campers will be put into teams of maximum 5 campers to 1 leader. All leaders will have Working With Children Checks, and will undergo leadership training prior to camp, and while on camp. The majority of leaders will have led on camps before, and all have a passion for working with children. Lesley, the Camp Director, is a certified primary school teacher with the Victorian Institute of Teaching, and has 4 years of formal teaching experience, in main stream and special development schools. She has also volunteered at camps in Canada and Australia, and as a Church youth leader in England. We operate on approximately a one Leader to three camper ratio for our Holiday Camps. In general, Cabin Leaders will have between 3 - 6 Campers directly in their care, and they are supported by Program staff, First Aid, Study Leaders etc. This does not include other campsite staff such as cooks, cleaners etc. Campers will arrive between 8:30 and 9:00 every morning. We will start the day with fun team games and activities at the City CYC site. During the morning, we will also have Morning Tea at 9:30 am, as well as a session to hear from our Camp Speaker and do a Bible-based activity. Lunch will be served at 12:30, following which we will go on an excursion in the Melbourne CBD. Following the excursion, we will return to City CYC for a quiet activity before pickup between 5:00 and 5:30. ​Our preferred form of payment is through bank transfer (EFT), however, we also have the ability to accept Visa and Mastercard payments. After placing an application you will be sent a reply e-mail including the invoice number and instructions for payment. We require all camp fees to be paid prior to the commencement of each camp. 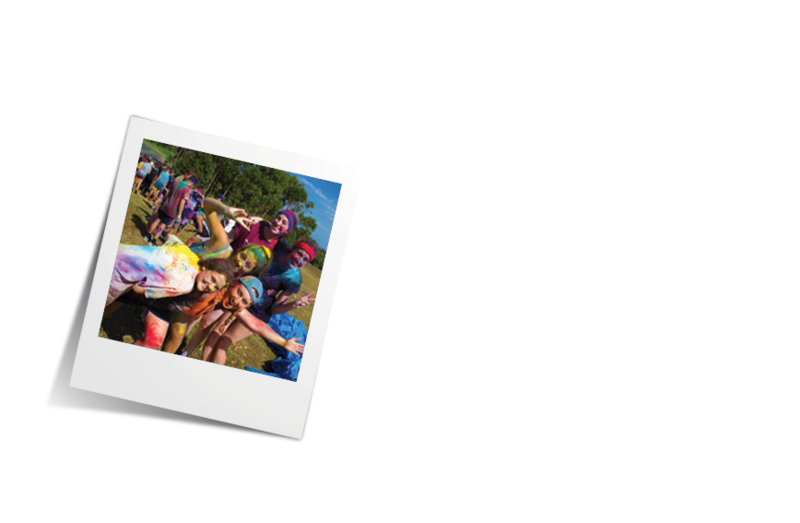 We require a minimum $50 non-refundable deposit to secure your place on camp. For cancelations prior to the starting day of camp, the balance between the full fees and deposit will be refunded. Please contact the Camp Director for any changes to your booking. One of the best parts of camp is meeting new friends! One of the main focuses of our program is to build relationships amongst campers. Campers will be placed in groups and teams, which will allow them to develop bonds from day one, and our Leaders are trained to help foster these new friendships. Our goal is to make sure that camp is a welcoming place for all! If your child is ill prior to the start of camp, and will not be attending at all, you will receive back the total amount of camp fees already paid, minus the $50 deposit. Unfortunately we do not offer partial refunds for campers who are only able to attend part-time due to illness. ​City Day Camps are a Primary Camp for children in school grades 3 - 6. On the Spring Camp we also accept children who are in grade 2. All CYC Ministries Holiday Camps include age appropriate Bible-based sessions each day. In general these would include a time of singing, a short message from the camp speaker, a game or activity relating to the message, and time to ask questions and reflect on the session. In addition, all Leaders on camp are Christians, and are available to answer questions that campers may have about the Christian faith. Our camp speakers are predominantly from local churches and/or other Christian organisations and are chosen based on their ability to effectively communicate with the specific age group for the camp. Our camps are attended by a wide variety of children from different backgrounds, encompassing many different denominations, as well as many who have no church affiliation, and as such, we aim for our sessions to be inclusive and sensitive to the demographics of each camp. One of the questions we get asked a lot is what the main differences are between the camps that we run at the various campsites. Most of our camps have very similar elements, but they do have differences due to both location and traditions. First of all, the different campsites lend themselves to different types of activities. CYC The Island and Phillip Island Adventure Resort are both within walking distance of beaches, and therefore, heading down to the beach is a common activity on camp. Camps at Forest Edge and Adanac CYC tend to be self-contained in the setting of the campsites. Rather than listing all the differences here, a brief look at the websites for the individual venues will give an idea as to the different types of activities available at each. In terms of traditions, there are certain games that might always get played at one camp and not the other, there might be slightly different routines in the Dining Room, songs sung in the input times, or just differences in “culture”. 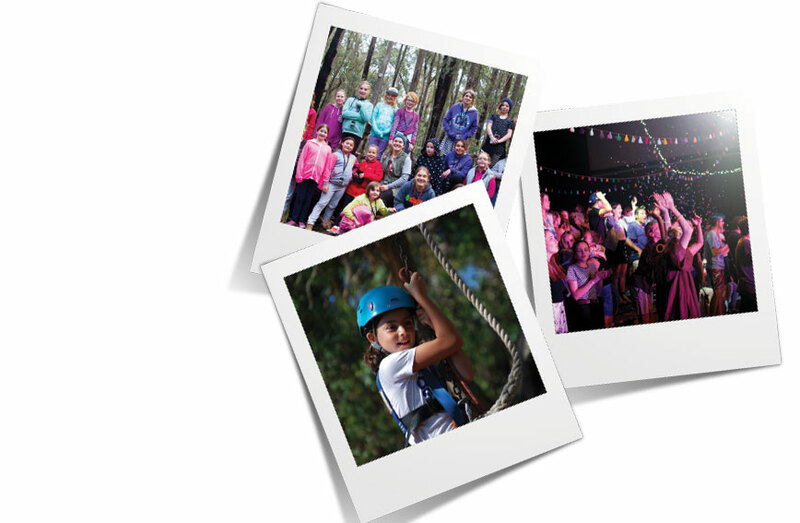 Another difference is that the Turbo Camps at Adanac CYC have a very strong contingent of campers from the local area, as it originally started as purely a Yarra Valley camp. City Day Camps differ from the other camps in that campers go home each night, rather than staying at the campsite. As most of our camps are theme-based to different extents, this can change things on an individual camp basis as well. In general, there are a number of standards that carry across all our camps, but each has it’s own “flavour”. Primary Camps are for those in years 3 - 6 at school. (Approx. 8 - 12 year olds). Teen Camps are for those in years 7 - 12 at school. (Approx. 12 - 17 year olds). On some camps the age groups may be different, such as years 7 - 10 at school (12 - 16 year olds). We take very seriously our duty of care to the campers. All Leaders must have a thorough reference check completed before serving on camp. Leaders are selected based upon a Confidential Reference (usually completed by a pastor at their church) as well as a secondary reference. Leaders complete an initial application, are required to undergo initial and ongoing development and training, and sign up to a Leader’s Code of Conduct and Safe Practice. ​On our City Day Camps we provide campers with a cooked lunch, as well as morning tea and afternoon tea. Fruit is also available throughout the day. We request that unless arranged prior, that campers do not bring extra food to camp. We do suggest that campers bring a refillable water bottle with them to camp. There are certain items that we do not allow on camp for a variety of reasons. Some of those reasons may be obvious, others less so, but all are designed to make camp a better place and a more enjoyable experience for all involved. Please do NOT bring any drugs (other than those prescribed by a doctor) to camp. This includes alcohol and cigarettes. Strictly no drinking or smoking on camp. Note: Any medication brought to camp must be given in at registration and supplied in clearly labeled dosage boxes. Please do NOT bring electrical devices such as CD Players, Walkmans, Stereos, Portable TV’s, Computers, Video Games, iPods etc. Please do NOT bring mobile phones to camp. Note: We realise that many Teen Campers may wish to bring their mobiles to have after camp. If this is the case, then they can be handed in (clearly named) at registration and will be handed back at the end of the camp. For all camps, transport to camp must be provided by the camper/parents. Please note: Due to privacy laws, we are unable to give out names and/or organise lifts for campers to camp. We offer a wide variety of activities that depend on factors such as the campsite, age group, time of year and themes of the camps. We make great use of the activities provided on each site, such as Archery, Bikes, Canoes, Climbing Wall, Crate Climb, Flying Fox, Giant Swing, High Ropes, Mini-Golf, Swimming, Trampolines, Tubing, Water Slide and more. We also bring a number of other program elements, such as themed activities, team games, wide games, craft activities and the like. Especially on the Phillip Island campsites, we also make use of external activity providers for things like Surfing etc. On City Day Camps we make use of a wide variety of daily excursion opportunities in and around the CBD. ​If you are trying to create an account and it comes up with an error that your e-mail address is unavailable, that means that it is already associated with an account in the system. If you choose the “forgot password” link, you can reset your password.